This 95 acre hobby farm for sale in Randolph County Arkansas is a great buy. Located close to both the Eleven Point River and Spring River just outside of Imboden. Features a 4 bedroom home with a hilltop setting that is very private. This property would be great as a horse property or small livestock operation. It is also in a prime hunting area. 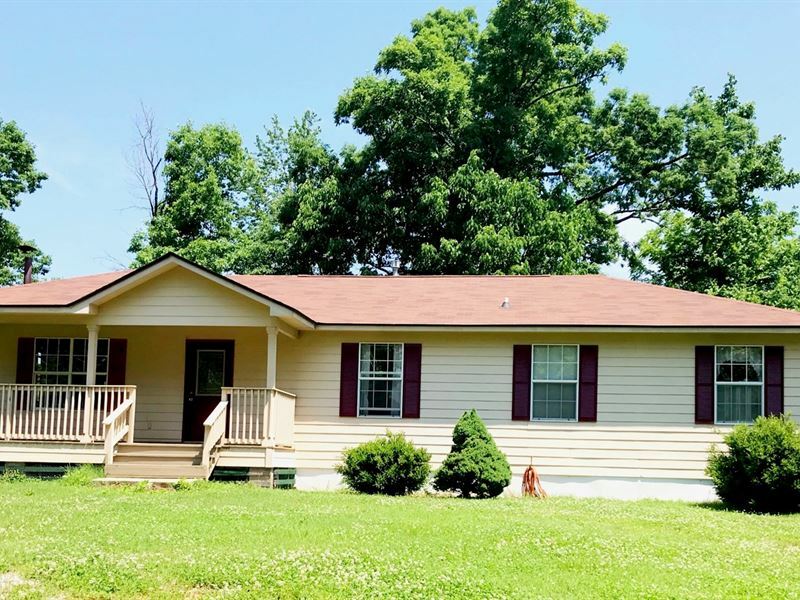 This country home with acreage for sale offers 4 bedrooms, 2 baths, kitchen with a bar & pantry, dining area with sliding doors to a small back deck, a covered front porch and central heat/air. Includes a second home that is older and in poor condition that was built in 1940. Several beautiful fruit trees surround the home. The 95 acres consists of approx. 15 acres open and the rest in woods. Includes a live spring and a few ponds. Property has road frontage on 2 sides. Perfect place for the country lover who likes lots of privacy and seclusion.